Once upon a time in a kingdom on a little island lived a queen by the name of Mandodari (the ‘soft-bellied’). The king was busy fighting wars and so bored, or perhaps to challenge her husband’s authority, she invented a new board game. No, the game wasn’t new but a modification of Chaturanga, a board game popular in ancient India. The changes the queen introduced turned the game into something similar to what we now know as chess. 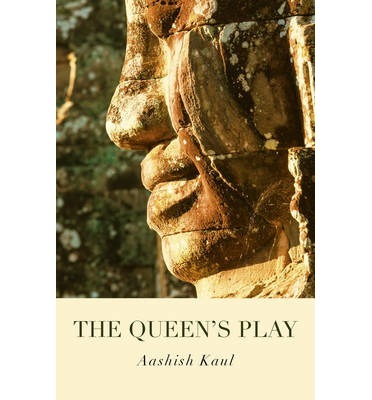 This imagined invention of chess by Mandodari, the wife of King Ravana, one of the ultimate prototypes of evil in the Indian epic Ramayana, is at the centre of Aashish Kaul’s intriguing novel. The dare of this conceit played upon us by the author is as breathtaking as the act of disruption the queen herself crafts. The epic’s narrative fabric of stories within stories is sliced open to retrieve a little string from which a clever writer like Kaul can weave his own stories. “The need for tales they say arose, when the fetters came stuck round our ankles with a clank of inevitability, when our wings were torn slowly the earth’s fierce pull, when even the skill of climbing trees or perching on a branch was forgotten. And yet the longing remained.” These are the words with which Kaul begins his story. Like most writers, a longing to explain the urge to tell stories also drives Kaul’s project. A writer self-conscious of his own design and intent, Kaul is ultimately aware of the limitations all stories, including epics, are burdened with. Limitations announced emphatically in the final pages of the book by one of the narrators: “Thus it occurred to you that not even of your story were you the hero. Privilege and history overran you there as well.” Desire to make and tell stories drive us because it is meant to remain unconsummated. The satisfaction that comes our way is not only transient but also illusory. In a way, the longing that takes hold of Mandodari forcing her to transform the board game is quite similar to the longing most writers feel. The board game Mandodari invents is not merely a game but also a symbolic space within which new stories can be imagined and told by playing the game. In fact playing of the game, moving this or that piece, and imagining and calculating consequences of the moves aren’t different from the way writers make their stories. Thus, the board game, the origin of which Kaul wants to imagine, turns into a trope of story-telling itself. Mandodari introduces two vital modifications to the game of Chaturanga: discarding the rolling of dice, and introducing the figure of queen as a piece on the board. Once the dice is removed the role of chance in the game and that of fate in life are challenged. One can now become a master of one’s own destiny. Freedom to exercise one’s will and act is there to enjoy. Suddenly Mandodari begins to remind me of a modernist informed by the traditions of European Enlightenment. “Why was the dice abandoned?” Asks the narrator in the novel. “For one reason alone. That fate ruled the board as it ruled us,” he explains soon after. But Mandodari isn’t merely a modernist. In her I also spot traces of a latent proto-feminist. In the game invented by her, the most powerful piece on the board is the figure of the queen. All power resides with it. It can move freely in all directions. The power of the figure of the king, on the other hand, is drastically curtailed. The moves it is allowed are minor, restricted and almost ritualistic. His fate is nothing but to turn into a mere symbol of victory or defeat. Kaul’s Mandodari is clever. The ‘soft-bellied’ queen has guts. The book begins with a note from the author. “Among many things that this book is,” it says, “that every book is, it is a book about chess. Not chess as we know it, but chess as was known at the time in which the story is based.” I deliberately ignored the note and read it after I had read the book and felt cheated by it. A book, at the centre of which is a daring move to get rid of the power the rolling of dice played in Chaturanga and thereby granting freedom to think, feel and move, doesn’t need the imposition of a note that tells its readers what should be read in it. The story is wonderful, told masterfully by a writer who knows his craft well. I don’t want to believe that the note, in some way, reflects the author’s doubt that without this clarification the story would fail to do the job it has been asked to. Why such doubt, such indecision? This is Kaul’s second book. His first, A Dream of Horses and Other Stories (2014) is recommended by J.M. Coetzee who notes that “… dreamlike setting, the fastidious melancholy sensibility of their no-longer–young narrators, lead us directly into the territory of late modernism of Borges and Beckett and Nabokov.” A very high praise form a Nobel Laureate, reproduced deservedly on the back cover of The Queen’s Play. “Well, less is more Lucrezia,” reminds Robert Browning’s faultless painter. Fortunately Kaul does his best to follow the rule. The language, apart from the passage cited above, is precise and use of metaphors are disciplined and efficient. They add to the tonal quality of the narrative asking to be read and heard aloud. I read the book twice and I am sure I’ll read it again to enjoy the resonant prose. The book is meant to be reread. Not because the prose is opaque and the plot complicated. No, it isn’t a plot-driven book. The book demands slow reading to appreciate its carefully crafted prose and to think about the ideas it explores deftly. I hope that this book is able to find the empathetic reader it has been written for. SUBHASH JAIRETH was born in India. He spent nine years in Moscow and moved to Canberra in 1986. He has published poetry, fiction and nonfiction in Hindi, Russian and English. His book To Silence: Three Autobiographies was published in 2011. 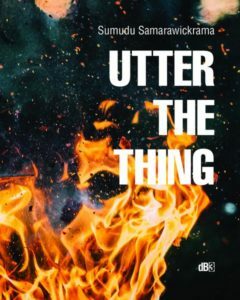 Two plays adapted from the book were performed at Canberra’s Street Theatre in 2012. His novel After Love was released last year.